In his latest book Passage from India to America, Ignatius Chithelen lays bare the myths and misconceptions about the American Dream and the missed opportunities for better assimilation. 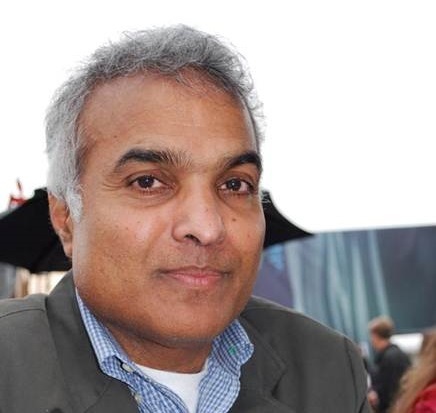 From Mumbai’s Santa Cruz to Manhattan’s Wall Street, from the classroom to the newsroom, Ignatius Chithelen’s journey has spanned multiple geographies and fields. This is evident from his incisive thinking and keenness of observation. You can see the synapses clicking in his brain as he brings his cross-disciplinary wisdom to bear on any conversation. Raising public awareness and promoting social justice clearly is part of his DNA. 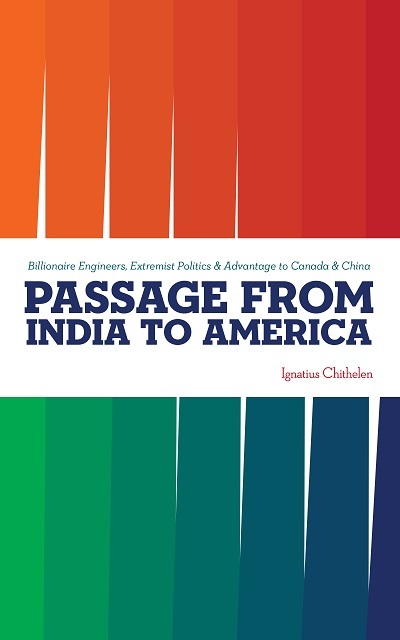 The latest product of this rich repository of ideas, interactions and experiences is his recent book, Passage from India to America: Billionaire Engineers, Extremist Politics and Advantage to Canada and China. While he does not hesitate to be provocative, you can see his deep desire to put the finger on the real issues and unpack the story for the greater good. The book discusses how policies are hurting greater business ties between India and America, and talks about entrepreneurship, fissures in society and sheds light on some of the hot button issues. Venky Raghavendra sat down with Chithelen in midtown Manhattan to discuss his views on the current state of the India-US Corridor, the challenging pursuit of the American Dream today for the opportunity-seeking techies streaming from India, and what the Indian diaspora could be doing differently to better assimilate into American society. Both your books, the current one Passage from India to America and the last one Six Degrees of Education, deal with the diversity of your experiences in India and America. You point out that Indian immigrants succeed in a competitive society like America because of their unique ability to take advantage of a diverse population. Many of the engineers, doctors and other professionals who make their passage from India to America are among the best graduates in their disciplines around the world. In India, from age five and even earlier, they pass a series of intensely competitive exams to get to the next level. For instance at the peak of the very pointy pyramid of Indian education, the odds of getting admission to the world-renowned Indian Institutes of Technology are less than one in hundred. Indian professionals in America appear non-threatening with their outward calm, self-effacing manners and an accented English popularly depicted on Simpson and other American TV shows. But, being winners of a series of fierce competitions, they are always figuring out how to win in office politics or get a research grant. As is known, all first generation immigrants in America use a blend of skills they bring from their native land and those they acquire in America. In the case of Indians, they compete in school and on the cricket field with Hindus, Muslims, Sikhs and Christians, the four castes among the Hindus as well as Malayalees, Maharashtrians, Bengalis, Tamilians, Gujaratis and over twenty other major linguistic groups. This ability to deal with a diverse group of people is the unique reason for their major success in America. Indians working at a company or at a university quickly figure out how to deal with Americans of Irish, German, Italian and other ancestry, foreign immigrants as well as Protestants, Catholics, Jews and Muslims. Do you think most Indians in America realize it? No. It’s not something Indian professionals even think about or spend time consciously trying to implement. The ability to deal with a diverse group is almost an instinct among those growing up in India since it’s a habit ingrained from early childhood. In India, you meet a person and immediately figure out a lot from his or her last name: religion, caste if Hindus, native language, cultural habits and other traits. Indians in America prefer their kids to grow and study in the United States. Are the parents not denying their children the experiences that gave them a distinct advantage? Yes the parents are not helping their children. Quite apart from a diverse experience, Indian American kids have a far better chance of getting admitted to the top colleges in America from a high school in India than they do from a school in the Boston to Washington corridor. It could be argued that all second generation immigrants in America, Indians included, are not as successful as their parents were in professional jobs. But some Indian parents deprive their kids of valuable life experiences even within America. I know several Indians who prohibited their kids from taking up summer jobs at McDonald’s or Walmart. They say such manual jobs are for servants: “What will our Indian relatives and friends think of us if my son is washing dishes at McDonald’s?” But numerous successful Americans, from film makers to chief executives of Fortune 500 companies and billionaires, learned the most valuable lessons of dealing with people in such manual summer jobs. In Passage from India you talk about how Canada and China are benefiting from the current immigration policies in America. How does this impact India and Indians? India’s top talent of engineers and math and science graduates can continue to benefit, despite the recent cuts in American skilled worker visas. Middle class families in India are eager for their children to get advanced education and find good jobs. The fresh graduates seek a good salary, stable job conditions and safe, comfortable living conditions. This is what pushes Indian professionals to emigrate. Yes there are fewer skilled worker visas for Indian professionals in America. Also, even if they get a skilled worker visa, there is more than a fifteen year wait to get permanent residency in the U.S. In these circumstances, it is very important for Indian graduates to avoid taking on loans for advanced degrees in America. There is a very high risk that they will lose their family homes to the banks that made the loans. Instead there are big opportunities elsewhere. Canada is eagerly welcoming talented immigrants, both on student and job visas. There are already some Indian professionals working in China. The major Chinese technologies companies, some of whom pay among the highest salaries in the world, appear to be eager to hire India’s top engineering and math talent. There is a strong view in some quarters that immigration is a burden on the American economy and we see it manifest in the public discourse. Would you say it is a myopic view and why? I am not an expert on immigration issues. I see that Indians are chief executives of Microsoft, Google, Adobe Systems and other globally dominant American technology companies. Indians, especially engineers, doctors, math and science graduates, have made major contributions to the American economy. In turn, they enjoy major financial success in America. However Indians are rated among the worst for giving back to society. They need to vastly expand their charitable contributions for selfish reasons, if not for doing good deeds. Every few weeks you read about racial attacks on Indians in America. Indians should donate large sums, especially collectively as a group, to show that they care about the communities in which they prosper and are not just eager to buy a new Mercedes Benz. What prompted you to write Passage from India? Why it is an important book especially in the current milieu? In 1984, as a fresh journalist, I had written about the slaughter of over 300 bakers, laborers and other innocent Muslims in the communal riots in and around Mumbai. A year earlier, I was among the thousands at Mumbai airport welcoming Sunil Gavaskar and the Indian cricket team, on their return from London, after winning the cricket World Cup. But now I admire Gavaskar more for courageously walking out of his apartment in Worli and saving the life of a Muslim laborer being attacked by a mob, during the communal riots in Mumbai in 1992. In February 2017, Srinivas Kuchibhotla was shot dead by a racist in a Kansas City suburb. He was an Indian engineer who often tried to calm his nervous wife by saying everything will be OK while they pursue success in America. After his killing, his mother in Hyderabad asked news reporters what crime had her son committed. Several other Indians in America were attacked by racists. Meanwhile in India, there were regular lynching of Muslims and low caste Hindus by extremist mobs. So, in Passage from India to America, I decided to analyze how extremism will likely impact Indians in America and Indians in India. What is the next big project you are working on? No big or even small projects. I have a full-time day job of managing investments for my clients. I worked on the books on weekends, instead of playing golf. So it took me about six years to finish both the books.